Charles J. Holley has served as bond counsel and underwriters’ counsel in a variety of finance transactions throughout the State of Illinois. He has been involved in general obligation, revenue, special obligation and advance refunding issues involving taxable and tax-exempt bonds sold by public offering. More specifically, he has participated in bond transactions involving such projects as education, health care, water and sewer, sanitation, solid waste, single-family housing, multi-family housing and community development. Mr. Holley has advised municipal and corporate clients regarding fiscal strategy, systems organization and long-term planning. Mr. Holley has also served as counsel to community development entitles in New Markets Tax Credit transactions designed to promote development in underserved markets. In particular, he has represented tax credit subsidiary allocatees with regard to qualified equity investments and accompanying low-income community investments. Mr. Holley also provides counsel to Federally Qualified Health Centers (FQHC), which provide primary and preventive healthcare and enabling services to medically underserved populations. FQHCs are located in or serve a high need community or a specific high-risk target population. FQHCs, by design, are intended to focus not only on improving the health of individual patients, but also on improving the health status of the entire community. As a healthcare provider and participant in a federal program, FQHCs confront unique legal issues and challenges, including regulatory compliance, third party payer contracting, employment law and Section 340B prescription drug program matters. Mr. Holley has extensive experience in litigation involving public policy matters. In 2007, he represented the City of Chicago Aldermanic Black Caucus in the successful resolution of Shakman v. Democratic Party of Cook County, bringing an end to 38 years of litigation regarding the City of Chicago’s hiring policies. In 1993, Mr. Holley represented African-American students in Rockford, Illinois, alleging the school district failed to provide an equal education to students of color, in the first successful school desegregation case in the United States in over 20 years. He also represented Hispanic residents in a suit against the Village of Addison, Illinois, alleging that the Village initiated a scheme to systematically drive Hispanics from the town through the use of arbitrary housing inspections to condemn their properties. Mr. Holley also successfully represented African-American Aldermen and citizens in their lawsuit against the City of Chicago, alleging that the process that created the 1991 re-map of the city’s wards diluted African-American’s voting strength in the city, thereby depriving them of the ability to elect candidates of their choice. Additional background information regarding Mr. Holley includes the following: Admitted to bar: 1991, Illinois, Wisconsin. Education: University of Wisconsin (B.A. 1988); University of Wisconsin Law School (J.D. 1991). 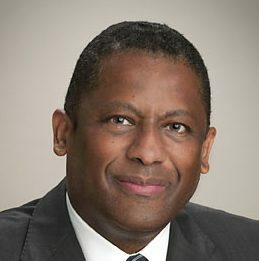 Mr. Holley was selected as Law Clerk to the Honorable George Clifton Edwards, United States Court of Appeals for the Sixth Circuit and is co-author, along with Professor Richard Delgado and others, of Campus Anti-Racism Rules: Constitutional Narratives in Collision, 85 Northwestern University Law Review 267 (1991). He is also a member of the Trial Bar of the United States District Court for the Northern District of Illinois. Mr. Holley was named “Lawyer of the Year” by the Independent Voters of Illinois/Independent Political Organizations and is the only two-time winner of the University of Wisconsin African-American Alumni Association’s “Alumnus of the Year” award.